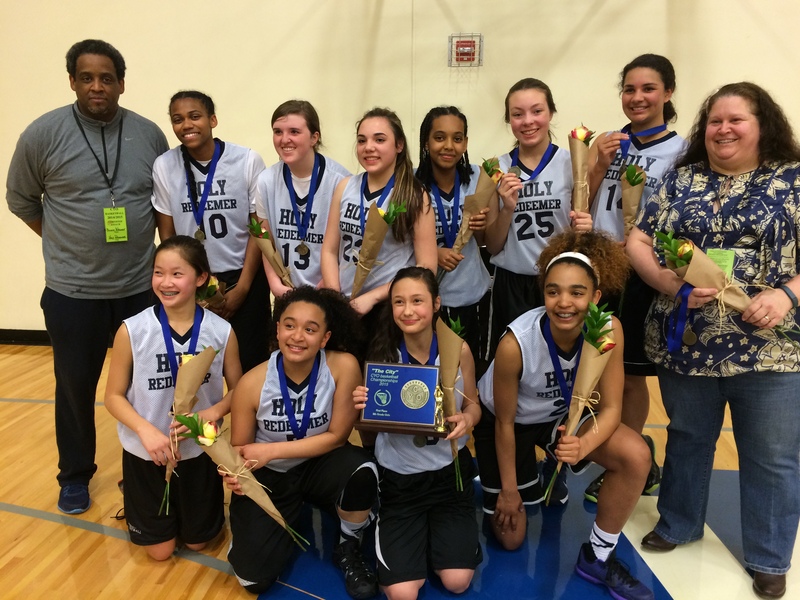 Two very talented teams playing at the eighth grade level. Holy Redeemer, a powerful group of young women had a slight edge over the St. Anthony seventh graders playing up at the eighth grade level but the St. Anthony team was in the game all the way forcing Holy Redeemer to bring everything they had to the contest. Holy Redeemer pulled ahead by 10 in the final two minutes of the fourth quarter. 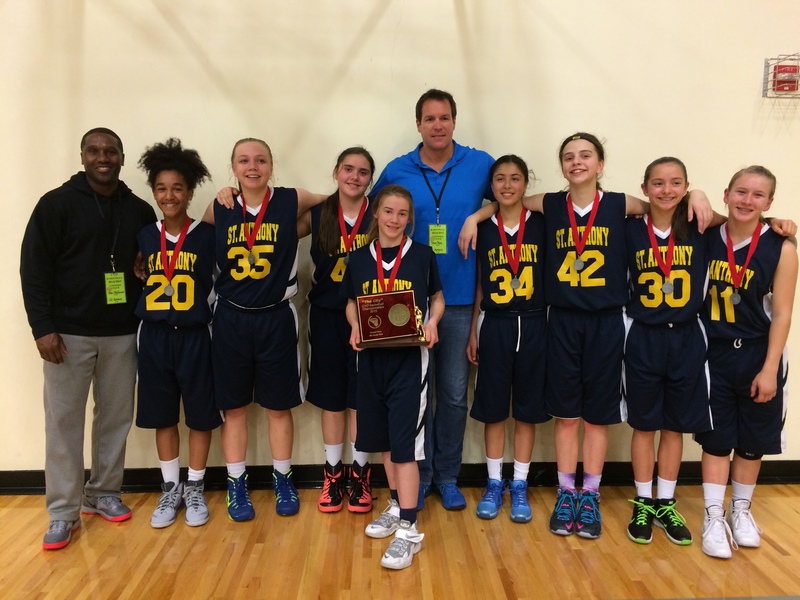 St. Anthony 7th Grade Girls win Second Place in the 8th grade division of the CYO City BXB Championship 2015.